Get more out of your hours. Is demand exceeding available time? It doesn’t matter how we approach our time management, we all have 168 hours available to us in every week. Time management is an illusion. What we really have to learn is how to make the best use of the time we have - to be more personally effective. Many of us have been on time management courses, or read time-management books. They all promise things like “The best way to manage your time” or some-such, but we often find that the processes we learn ‘work’ for us for a couple of weeks and then we settle back into our old ways. Primarily this is because we are all utterly unique, both in habit and approach, and a one-size-fits-all approach will never work in the long term. This course goes beyond the usual time-management course by enabling participants to think about how we manage ourselves within time, and then build your own, customised time-utilisation strategy. This approach has a pre-requisite that we know ourselves, both in terms of our preferences as well as our personal filters; as well as when we are at our most effective for different kinds of work. If that can be describe as an ‘Inner Focus’; then the behaviours that we exhibit may be considered as an ‘Outer Focus’. While the Inner focus will be achieved mainly through pre-work; the workshop itself focuses on the Outer Focus. The Outer Focus will be introduced by means of a simple ‘formula’ that participants will use to build their own time-utilisation strategy toolkit. It uncovers common misconceptions as well as drawing on the latest cognitive science and neuroscience research; including (but not limited to) Mindset, Grit and a prioritisation approach built on one from the US military. It is more based on practise rather than theory, though links to reference material will be provided. The skills developed are applicable to staff at all levels and in all roles. 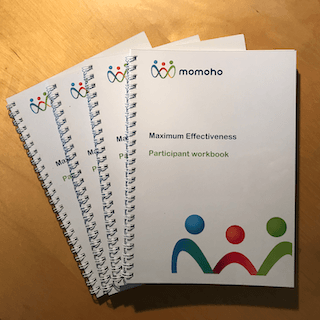 You'll be given a customised workbook designed to maximise learning.